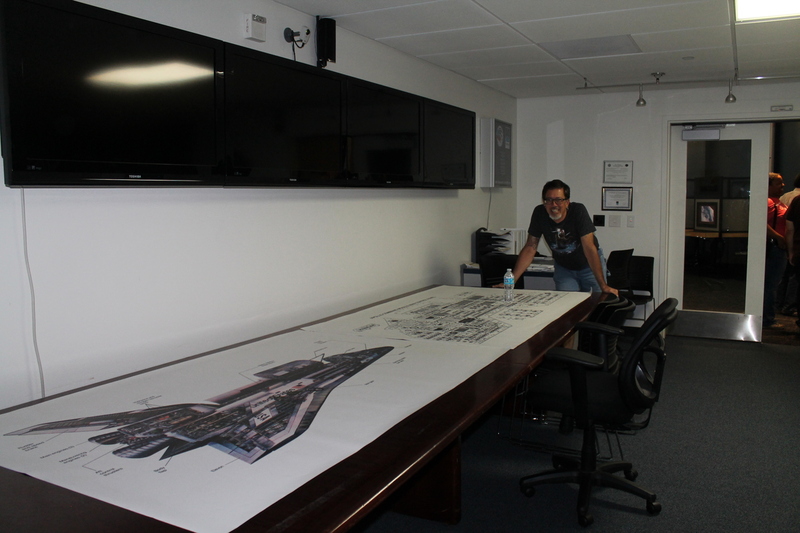 Today I took a tour of the Columbia Memorial Space Center in Downey with Atlas Obscura. We got a nice treat when they brought in an engineer who worked at North American Aviation, later Rockwell, from the early days of Apollo all the way through the Space Shuttle program. He had some good stories about the early days there. Later on, we went upstairs, where there was a long conference table in the room. Remember this scene from “Apollo 13″? This was the table the actual North American engineers used back in 1970 when they had to figure out how to piece junk together to get Apollo 13 home.